With so much happening around the world of Agile and DevOps, it would be hard not to label them as the new wheels of IT. Much less the language these new worlds have introduced, they are actually helping tear away those high walls between the teams that were at odds with each other – and laying new tracks to speed up the flow of value. Is Business getting the right value at the right speed? Is there a common currency between IT and Business for measuring the effectiveness of the collaboration? How do I move from point A to point B in this new world and what organizational levers / capabilities should be built to bring dollars to deployments? 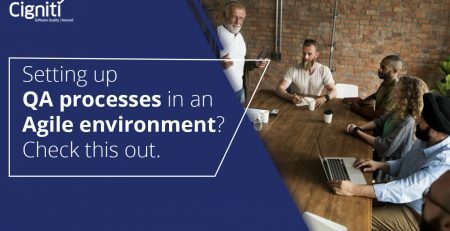 Increasingly Business is looking up to IT to become a differentiator to lead key business initiatives at the speed of competition, especially with the new tribe of CIO, CMO, and CDO who are riding the mega wave of digital transformation. Given this, the trio of speed, quality, and cost that ruled the project world with a constrained choice of ‘pick any two’ no longer work. While the markets are changing at the speed of consumers’ whims, the ability to monetize this with IT’s capability is very critical in today’s world. Amazon deploys every 11.6 seconds. Speed, now, is the new fuel! So, how do you ensure that your business is getting the right value at the right speed? Rajendra Prasad Thota, Practice Head – Advisory & Transformation Services, Cigniti Technologies provides insights into how a typical IT Organization should go about embracing the new worlds of Agile | DevOps. In his blog – Agile+DevOps: New Roads, New Wheels & the art of Continuous Learning- Part 1 – he explains how an IT organization should identify the critical challenges and right organizational change levers that need to be deployed in creating and delivering the value. In this blog, he discusses the techniques like Value Stream Analysis, Shift Left / Right Practices, Automation, etc. 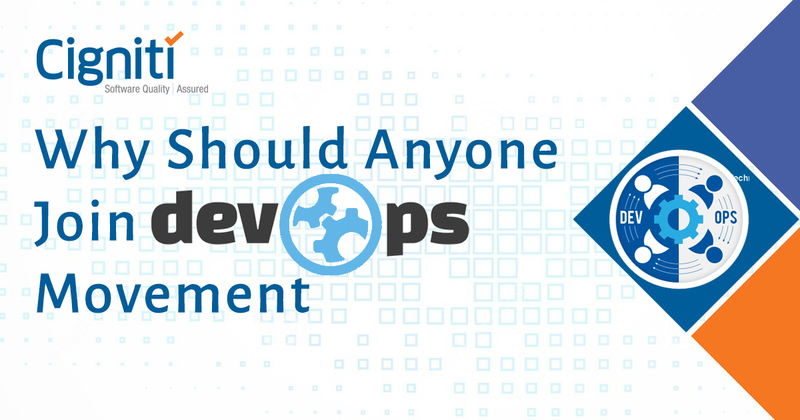 which organizations should plan to exploit to maximize quality and speed in the world of Agile and DevOps. Read the full post here – https://goo.gl/IoPb8P and get deeper insights.